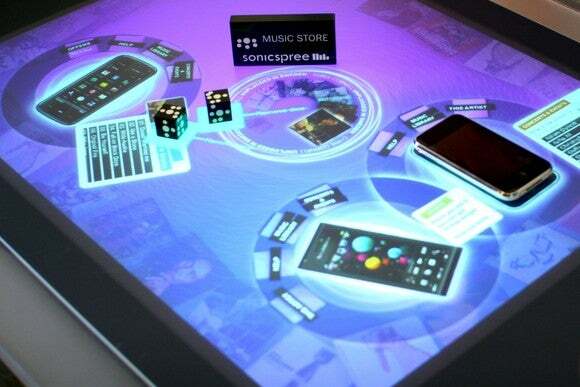 One day, the future of Intel’s desktop business will lie within something that looks like the Microsoft Surface. No, not the tablet—the older, tabletop version. Remember that? In a world increasingly defined by mobile devices, one might think that Intel’s desktop business would be the equivalent of Siberia. 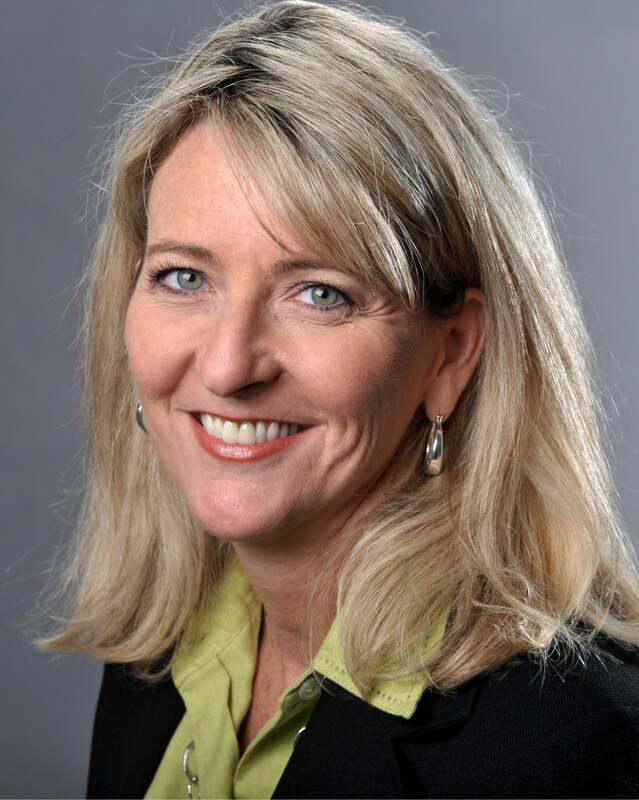 In fact, the opposite is true, according to Lisa Graff, the vice president of the PC Client Group and general manager of the Desktop Client Platforms Group. Last quarter, Intel shipped a record number of its Core i5 and i7 chips, Graff said in an interview, with more unit sales going to businesses than consumers. There are still a large number of businesses, such as banks, that would rather lock down their data than risk its wandering away on a mobile device, she said. Intel’s toy-sized NUC may fit perfectly into some work environments. In fact, Intel sees its desktop business bifurcating: shrinking into smaller devices, such as the Next Unit of Computing (the NUC), where Intel’s traditional desktop components are packed tightly within a chassis slightly smaller than a Rubik’s Cube. Workstation and gaming PCs, however, will still demand a large, roomy chassis with abundant power and cooling. But when asked to describe the future of the desktop PC, Graff selected a more traditionally consumer-oriented device: the flat-screen TV. When does a smart TV become a dumb PC? 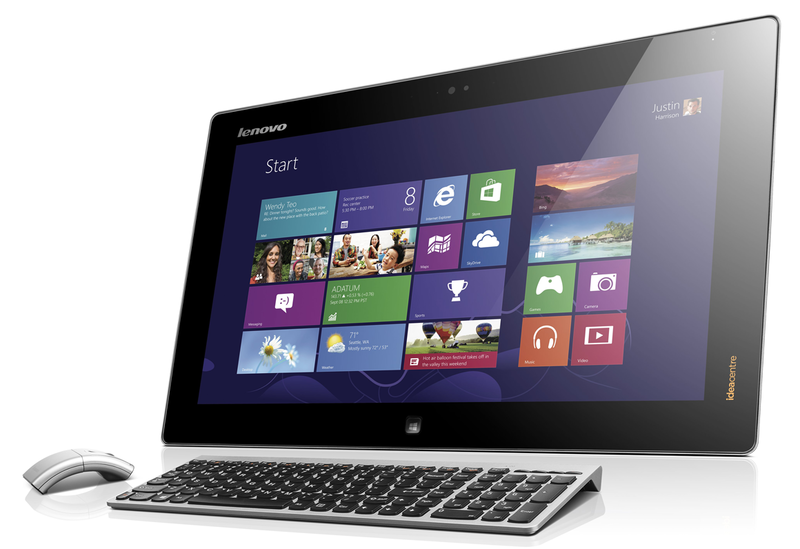 Lenovo’s ThinkCentre Flex 20: is this the future of the desktop PC? Over time, Graff said, the OEMs designing and building these portable all-in-ones will incorporate an improved version of the Intel RealSense technology that Intel formally launched at CES. The goal? To help optimize them for one of the traditional roles of the desktop PC: gaming. Graff said that the future AIOs will be able to flip on their edge, turning them into “tabletops” for gaming with up to four people. In this scenario, the touchscreen will have to become far more sensitive, able to support the fingers of all four players, not just a single user. A single microphone won’t be enough either, Graff said: The hardware designer will have to embed at least four along the tablet’s bezel to pick up the sounds of all the players. 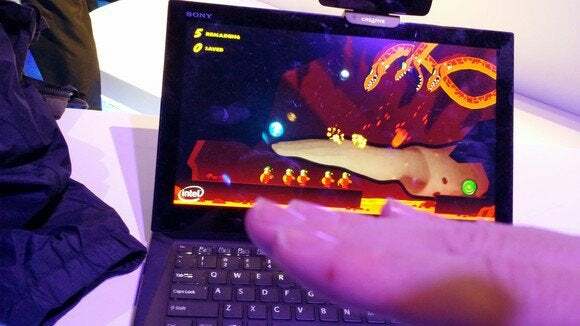 And the Kinect-like RealSense cameras that hardware makers will build into laptops will also have to be modified: They'd normally point straight ahead, so in tabletop mode they’d end up pointing at the ceiling. Intel showed off a number of internally-developed games for its RealSense cameras at CES. Will productivity apps follow? And then there’s the apps. At CES, Intel showed off an “interactive storybook,” co-developed with Scholastic, mixing animated, virtual illustrations with the real world. Graff said Intel had invested heavily in multi-user, multitouch games and apps in 2013, and over 160 titles supporting that particular technology were in development. Microsoft’s Surface, later renamed PixelSense and transferred to Samsung. Of course, this all sounds very similar to Microsoft’s Surface, the tabletop PC that Microsoft launched with great fanfare in 2007, only to be renamed PixelSense when Microsoft added the Surface tablet in 2011. PixelSense, which was transferred to Samsung, flopped, and was finally discontinued in 2013, according to Wikipedia. Intel will have to spend some convincing customers that it won’t happen again. Earlier Chromeboxes by Samsung, as well as the Intel NUC, helped usher in a new generation of ultra-compact computing that traded low power, low cost, and a compact footprint for more powerful graphics options. But with the addition of Intel’s Iris Pro graphics to the ”Haswell” generation of Core processors, Intel has begun to claim that the boxes can play at least some of the modern era of games. All that augurs well for Intel’s NUC and competitors like the Gigabyte Brix mini PC. 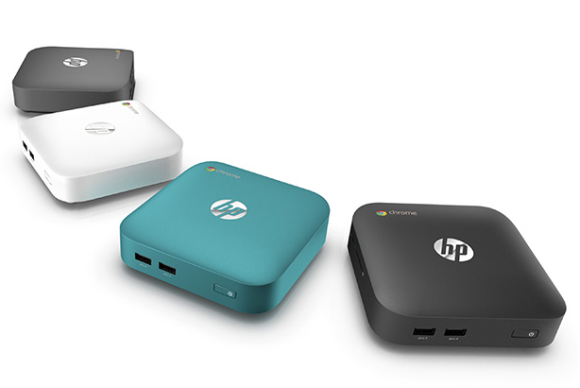 HP’s latest generation of Chromeboxes. According to Intel’s Graff, compact computers like the NUC will continue to be built on the Core chips, as well the “Bay Trail” low-power Atom chips that Intel launched last year. “It’s gone from a non-existing category in 2012 to over a million units sold last year…and I bet we see more than 50 percent growth this year,” Graff said. The irony here is that while the NUC uses a traditional “desktop” chip, the portable AIOs that Graff identified as the future of the desktop PC do not. In fact, the Lenovo Flex 20 spec sheet reveals an Intel i3-4010U inside—a mobile chip. Which says something. PC gamers know that the traditional tower configuration hasn’t gone away. But for everyone else, the “desktop” PC is becoming smaller, more portable—and, eventually, more mobile. Eventually, the NUC could be reshaped into a form factor similar to that of the modular ICE xPC (although Intel hasn’t said it would do so). Within a few years, consumers could choose between systems that use either a more powerful “desktop” processor or a lower-power mobile chip—and slide either into a backpack.